The Samsung Galaxy S5 has quickly become a favourite among smartphone users, so here we take a closer look at the latest Samsung mobile phone to see what all the fuss is about. When you first take hold of the Samsung Galaxy S5 it has a surprisingly sturdy and well-built feel, surprising due to sticking with a plastic chassis rather than opting for metal like the HTC One M8. Samsung has also added water and dust resistance to the phone making that a big plus in my eyes as I think all handsets should go this way, this would eliminate a lot of water ingress issues with smartphones. The TouchWiz UI coupled with Android KitKat makes for an enjoyable user experience which flows easily and makes the phone simple to use. It can be simplified further with Easy Mode and the addition of My Magazine gives the phone a feature similar to Blinkfeed with tailored interests. Samsung has packed lots of extra bits into the Galaxy S5 such as S Health, Galaxy Gifts, Galaxy Essentials, S Voice and many more. There is a built-in heart sensor for fitness fans, simply place your finger over the sensor and you will be greeted with an accurate reading of your heart rate. Some mocked Apple when they added a fingerprint scanner to the iPhone 5s but it appears Samsung didn’t find it funny as they have included it on their latest smartphone. To activate the fingerprint scanner you simple swipe your finger down over the home button. Something that every parent can relate to is the need for a kid friendly mode on their smartphone allowing you to hand over your phone to your little darlings without worrying about them inadvertently running up a whopping bill. You choose the apps and features that your child will be able to access so you can hand over your phone and relax as your child plays. The camera on the Galaxy S5 is a step up from its predecessor with a 16-megapixel resolution and a slew of new features too. There are many shooting modes to choose from so you can add a unique element to your picture and with loads of post editing options too you can while away hours cropping and changing your snaps. The Samsung Galaxy S5 certainly deserves to be up there with the best smartphones of 2014 thanks to the many innovative features packed into its chassis. Even though the phone is made of plastic that does not detract from its great design and the camera and great battery life make this a great choice for your next smartphone. Do you have a Samsung Galaxy S5? What is your favourite feature on the phone? 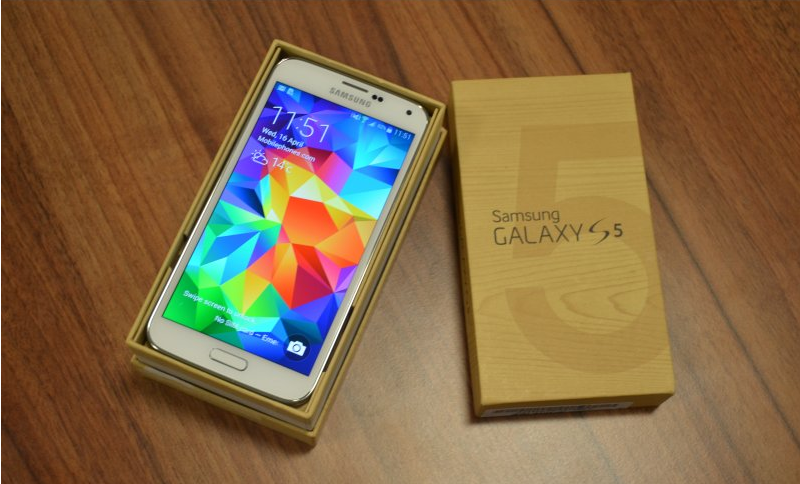 Would you choose the Samsung Galaxy S5 as your next phone? Tell us your thoughts by commenting below or join the conversation on Google+, Facebook or Twitter.